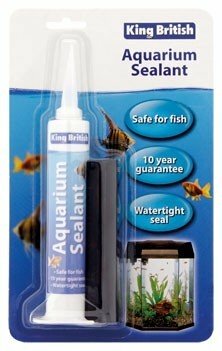 Ideal for building small domestic glass aquaria, repairing cracks and sealing connections inside or outside the tank. One component, easy to apply and tool. Excellent adhesion to glass. High modulus. Fast tack free and cure time. Safe for fish when fully cured. Cures to form a permanently flexible watertight seal. High gloss finish.